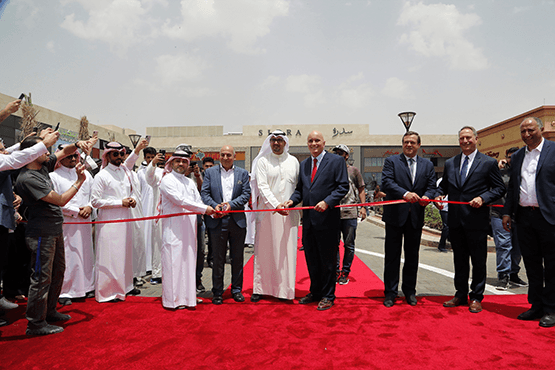 Alshaya International Trading Co., one of the leading international retail franchise operators, launched a new dining destination in Riyadh, Sidra, which brings together a host of international food brands: The Cheesecake Factory, P.F. Chang’s, Asha’s, Pinkberry, Texas Roadhouse, Shake Shack, IHOP, Raising Cane’s, Blaze Pizza, and Starbucks. Five of the restaurants a t Sidra will be making their first appearance in Riyadh: The Cheesecake Factory, P.F. Chang’s, and Asha’s will open immediately, with Texas Roadhouse and Blaze Pizza following a few weeks later. Extending over an area of 18,000 square meters, Sidra is strategically located next to Granada Centre on two main highways in Riyadh on Exit 9, Imam Abdullah Bin Saud Bin Abdulaziz Road.